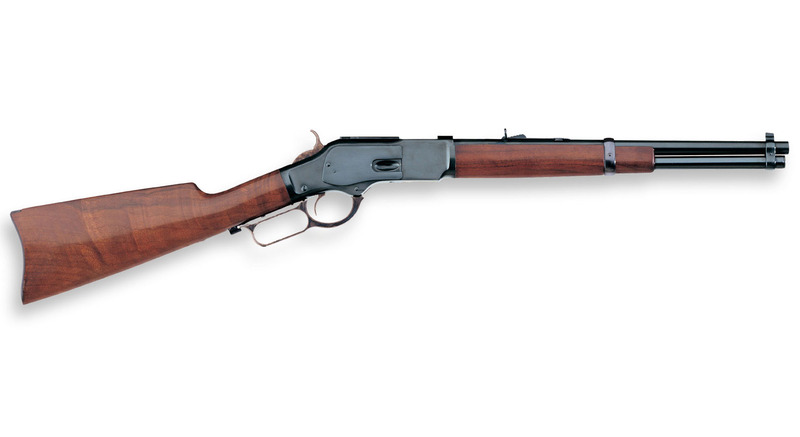 Winchester’s Model 1873 was the “Rifle that Won the West.” The Model 1873 was chambered in a new more powerful cartridge the .44/40 — a .44 caliber bullet propelled by 40 grains of black powder. However one big factor that really insured the success of the 1873 was that Colt quickly responded by offering its frontier six-shooter chambered in .44/40. A cowboy could have both a lever action rifle and his “Peacemaker” and only need one cartridge belt. Buffalo Bill Cody carried an 1873 and a pair of Colts chambered in .44/40 in 1876 when he worked as an Army scout. Chappo son of Apache Warchief Geronimo packed an 1873 as did most Texas Rangers along with every Old West Cowboy worth his salt. 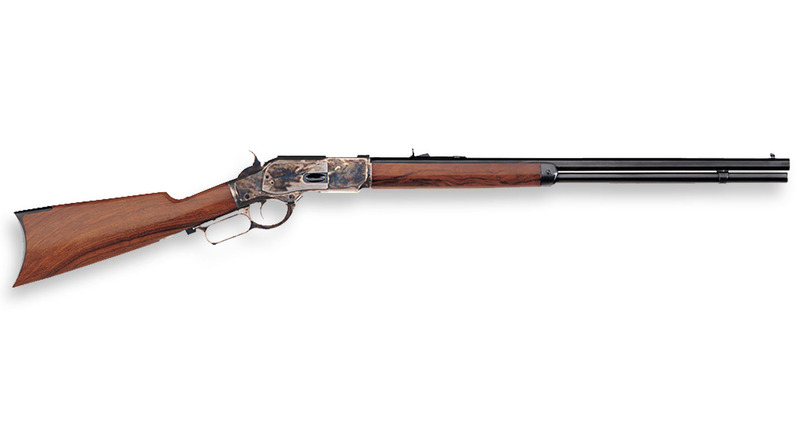 Uberti has recreated the 1873 in five distinctive models including the 1873 Carbine and the Special Sporting Rifle. 3 0285003 1 BARREL SHORT 20″ .44SPEC. 7 0220007 1 CARRIER BLOCK .38SP/.357MAG. 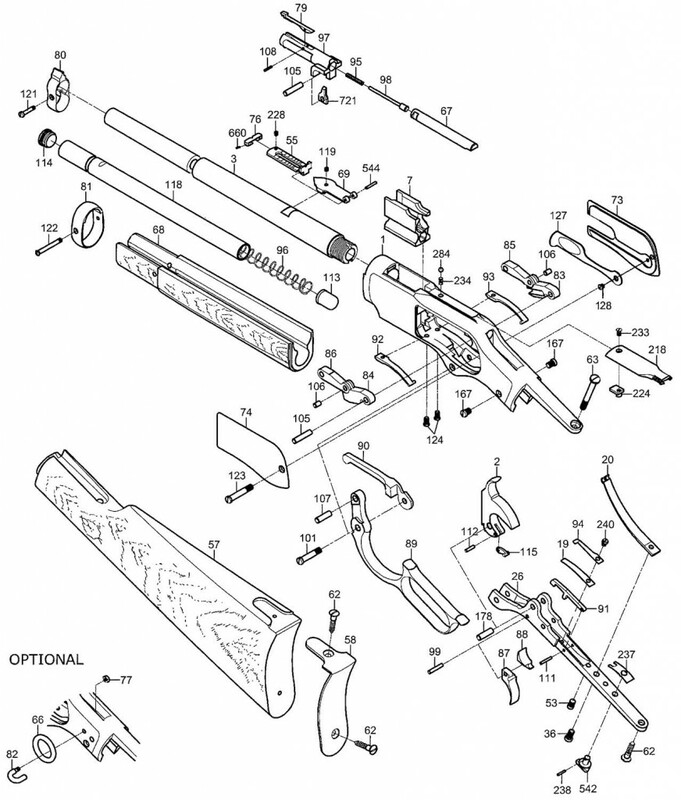 3 0249003 1 BARREL 24.1/4″ .44SPEC. 3 2050003 1 BARREL 19″ .44MAG. 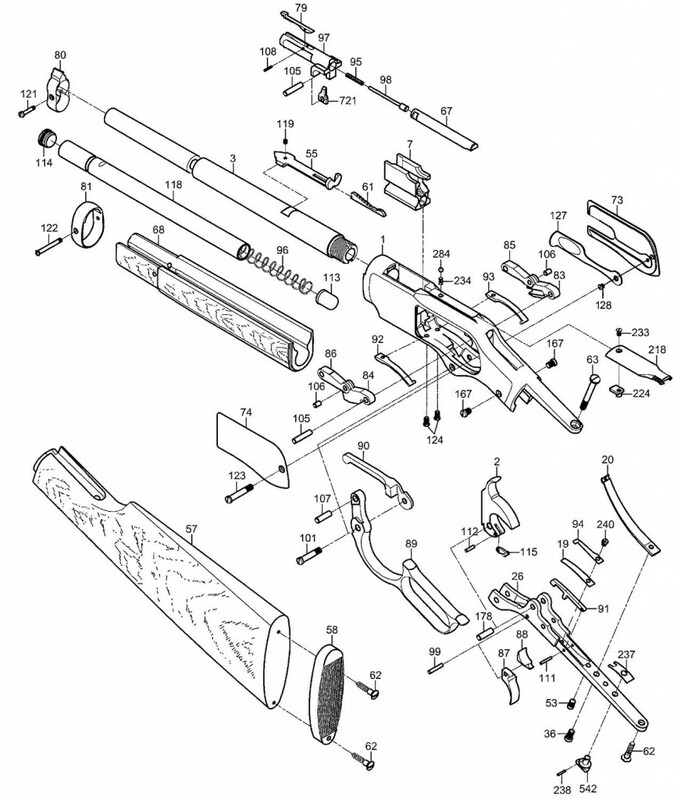 3 2051003 1 BARREL 24.1/4″ .44MAG.